ART IS BEAUTY: I'm BACK baby!!!!!!! 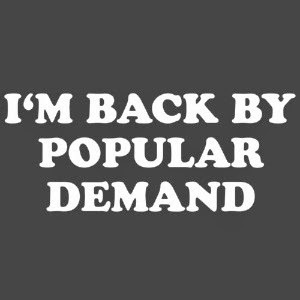 Just a quick note to tell you that I AM BACK!!! I have been locked out for almost 2 whole weeks now thanks to the whole INTERNET catastrophe that is going on. I will tell you right now...that if you haven't changed all your passwords...you need to do it NOW. This is not a SKY is FALLING thing. I had to learn the hard way. I got HACKED....because right now between HEARTBLEED virus and the whole OPENSSL. Take me for an example and don't let this happen to you. So glad to be back!!! So be on the lookout for NEW posts!! !